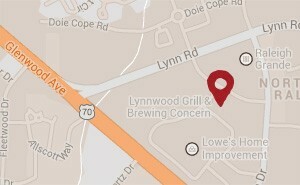 At Lynnwood Grill & Brewing Concern, we’re all about great food, great drinks and great community. Make our local brewery and grill your regular spot, and take advantage of our weekly specials. With deals on our very own award-winning craft beer, mixed drinks, lunch specials and more, you’ll keep coming back to LBC for all your favorites. Our friendly staff loves getting to know our customers, so come by and enjoy Lynnwood Grill & Brewing Concern’s weekly food and drink specials. Don’t hesitate to contact us with your questions or to order a meal to-go. 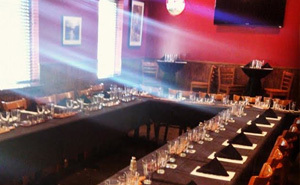 Serving the Glenwood Avenue, Lynn Road and Grove Barton Road areas, Lynnwood Grill & Brewing Concern is your neighborhood bar and grill with our specialty pizza, award-winning craft beer, event calendar and more.